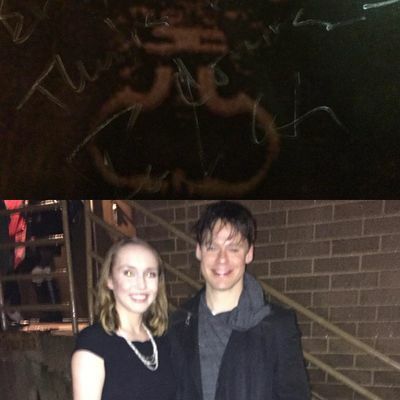 We have a great shot of #RandyHarrison and the whole cast of #CabaretTour at the end of the performance at the Peace Center on their first day in Greenville, thanks to Barrie39 who let us share her photo on our website. Cabaret is scheduled at the Peace Center from the 15th to the 20th of March. 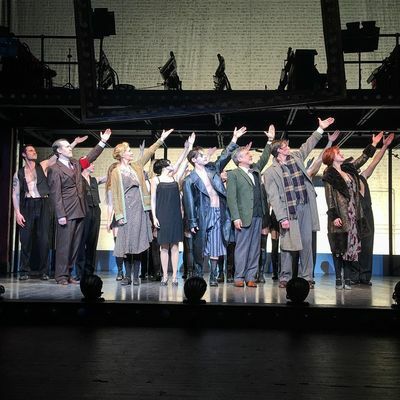 The Roundabout Theatre Company uploaded on their Youtube channel a series of videos from the performance of Cabaret National Tour. And we also have some screencaps, thanks to Claudia. Click HERE (Willcommen) and HERE (Pineapple song) to access the gallery. Feel free to use our screencaps, but don't forget to credit our website for them. 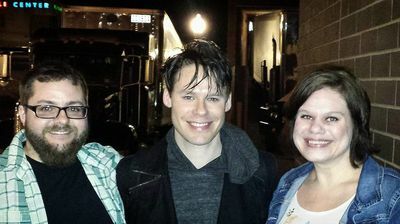 We have on more photo of #RandyHarrison after last night's performance in #CabaretTour with a couple of fans! Thank you so much to Fleeflo for sharing it with us!! 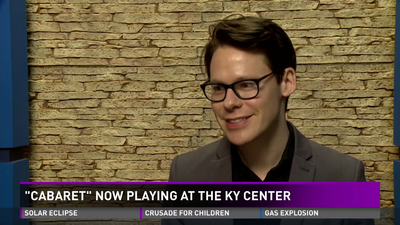 We finally have a photo of #RandyHarrison from #CabaretTour in Louisville! It's from last night's performance and we'd like to thank Kaleenoc who is in the photo with Randy and let us share it on our website! 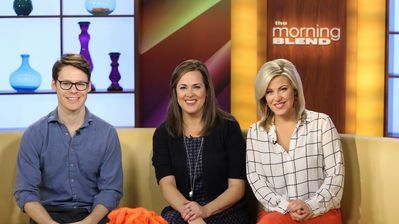 On February 24th #RandyHarrison was at the TMJ4's studios in Milwaukee for an interview with Molly Fay and Tiffany Ogle in The Morning Blend. We added some photos of Randy during the interview with the two anchorwomen. We have a list of articles and reviews about #RandyHarrison and #CabaretTour and will add more as soon as they're released. Charitybuzz, an organization which raises money for different charities through online auctions, placed a bid for two house seats for Cabaret's performance in San Francisco. Randy offered the tickets for the bid and will meet the winner in a Meet & Greet backstage after the show. Thanks to Ifigenia for the heads up. We made screencaps from the short clip of #RandyHarrison on Trending Now. We have another short clip of #RandyHarrison talking about #CabaretTour at the WHAS11, introduced by Rachel Platt in Trending Now.